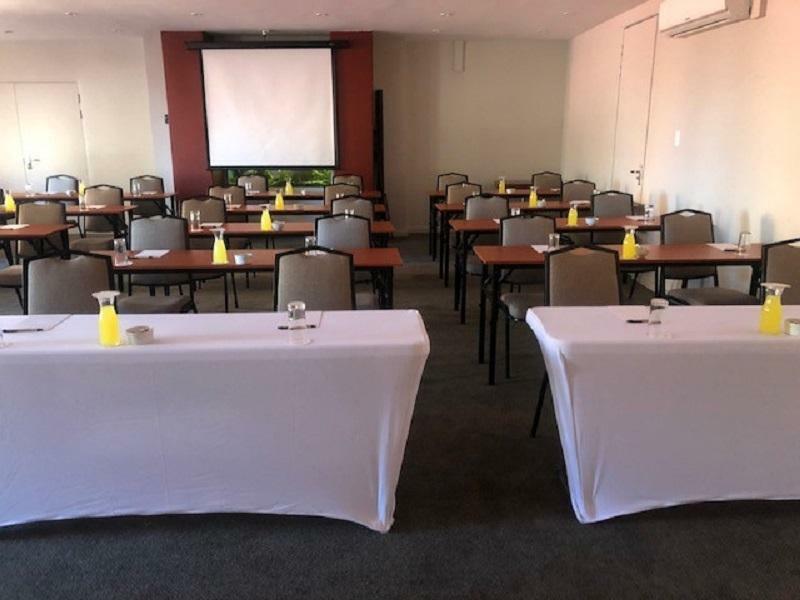 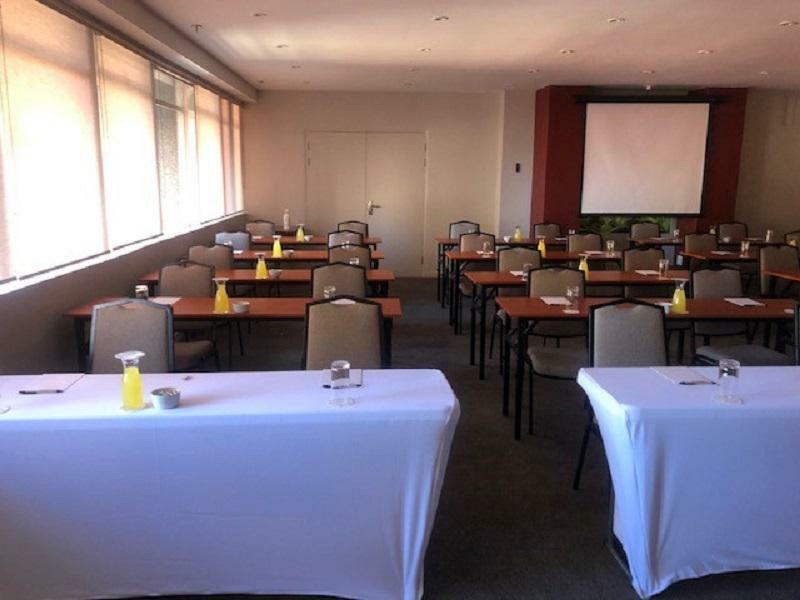 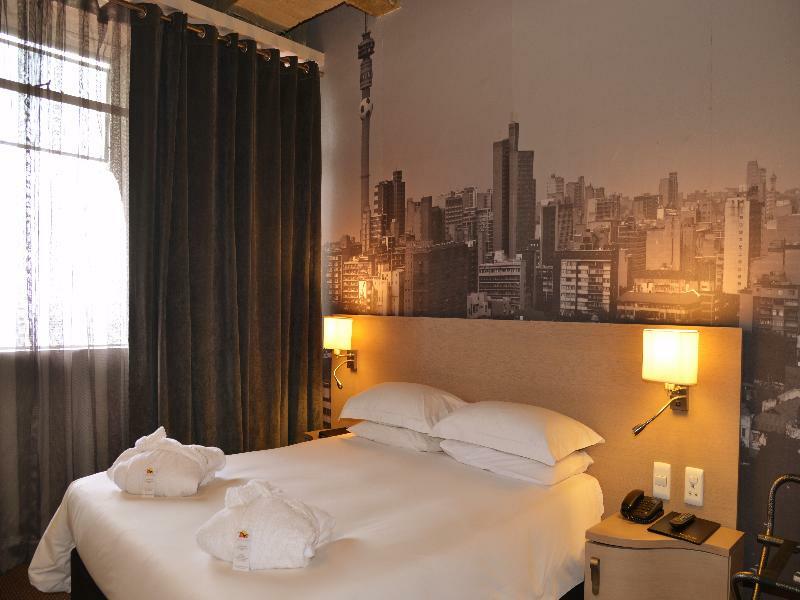 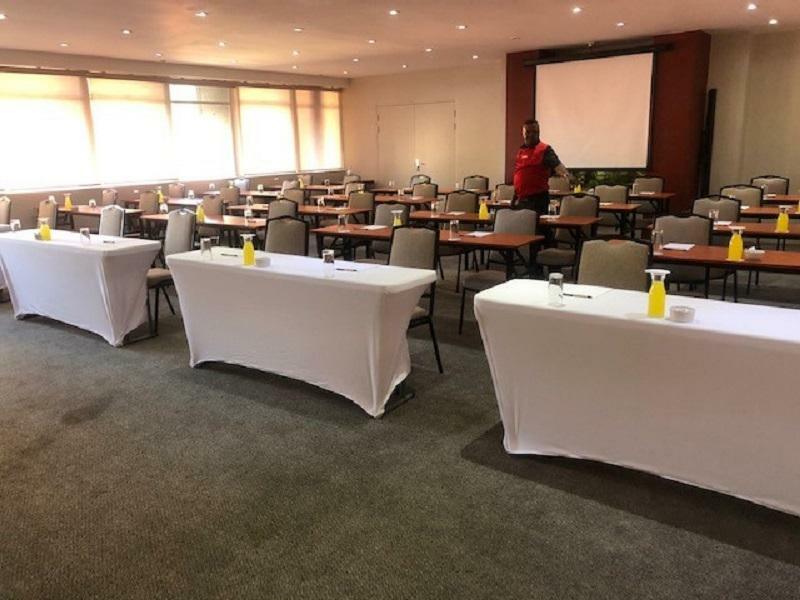 The city hotel is located in the Financial District with views of an ever-bustling city, and is situated close to all major business centres, just 14 km from the Sandton Convention Centre and just 5 minutes from the City Hall. 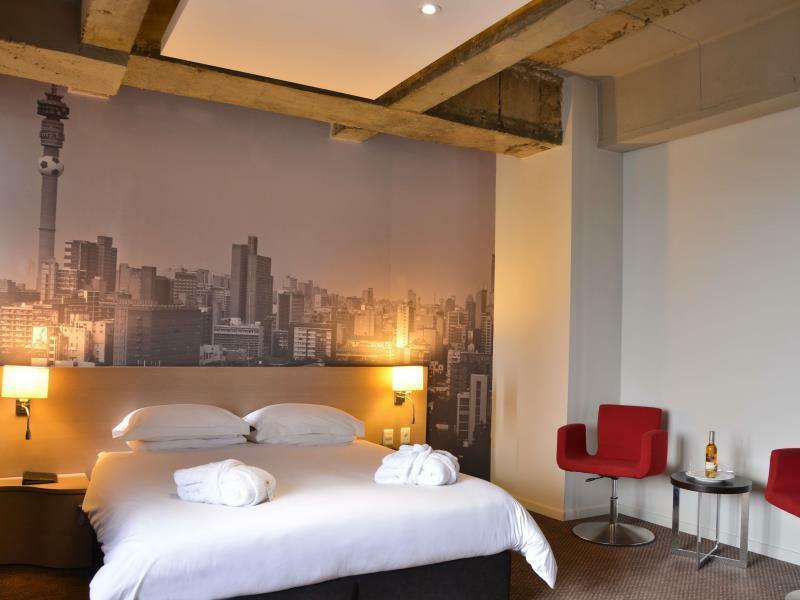 Businessmen will be close to major social hotspots, yet away from the frantic pace of the city centre. 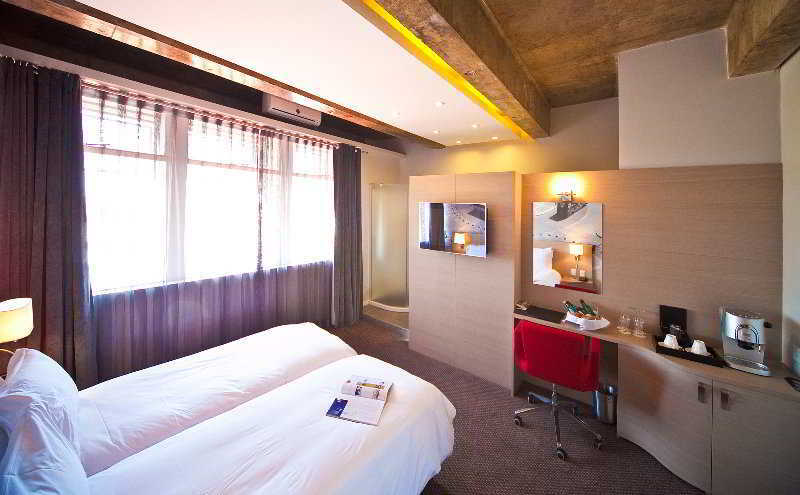 Guests will find links to the public transport network a 5-minute walk from the design hotel, while the Gautrain and BRT bus stations are 10 minutes away by car.||Built in 2010, this air-conditioned hotel offers a wide range of personalised services and facilities for an enjoyable stay. 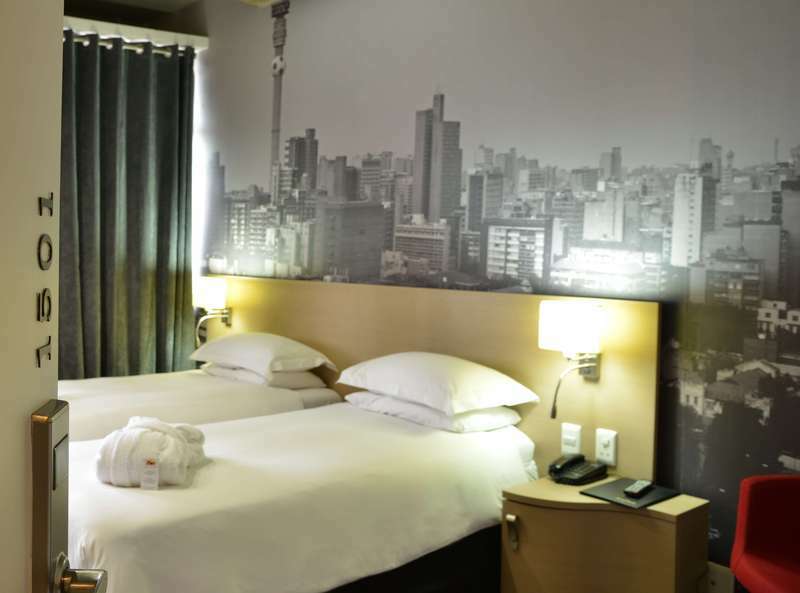 The hotel's 120 comfortable accommodation units and great services make it a top choice of lodging for visitors to the city. 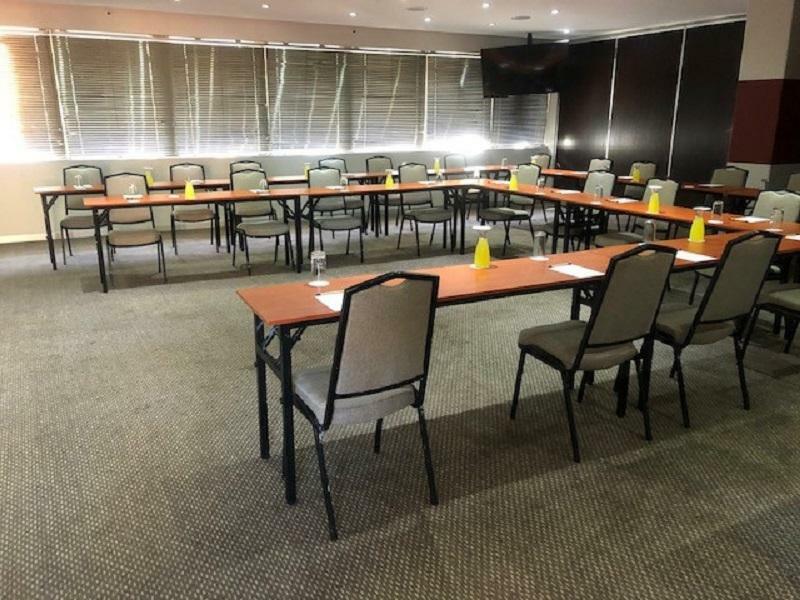 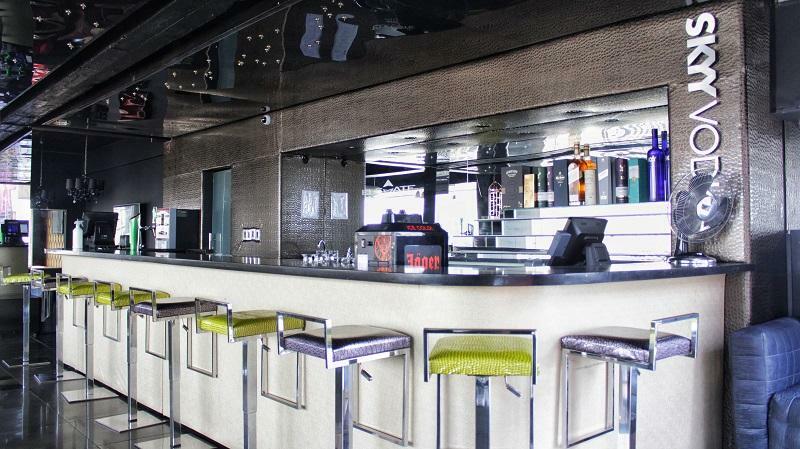 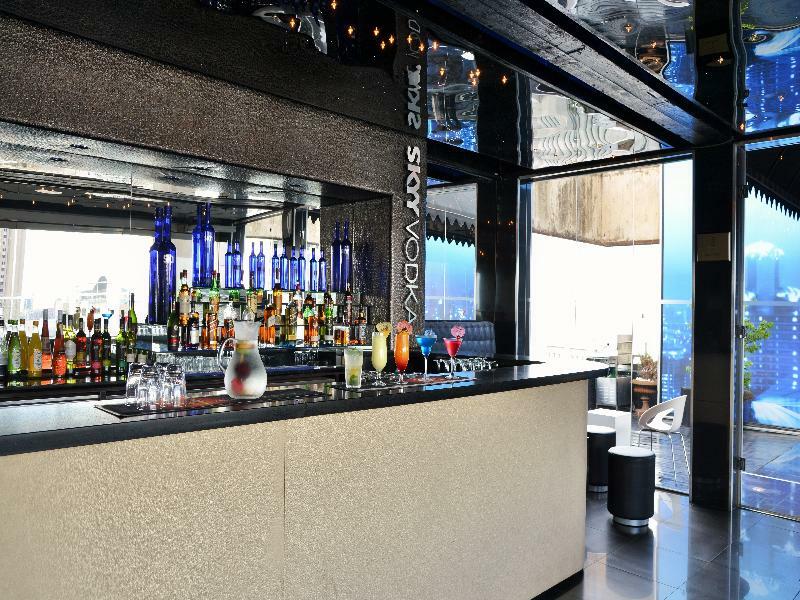 Facilities available to guests at the business hotel include a lobby with 24-hour reception and check-out services, lift access, a bar and restaurant, and conference facilities. 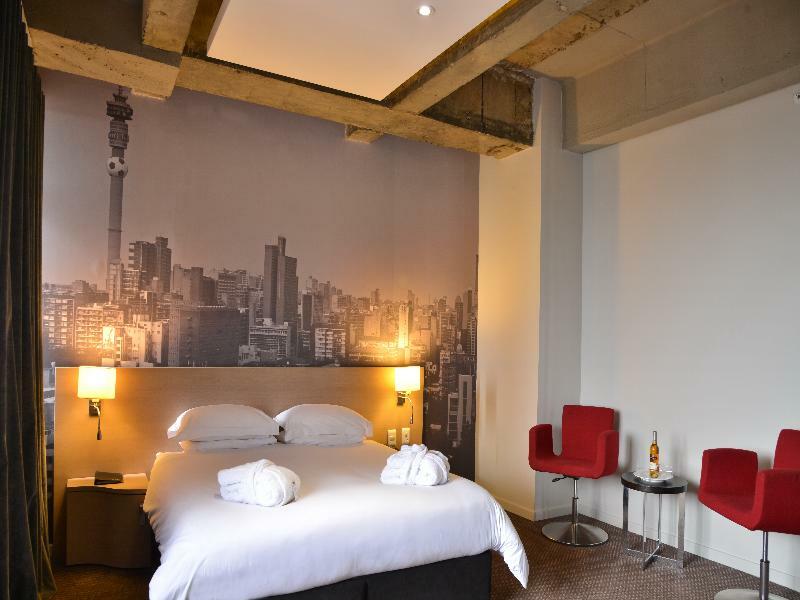 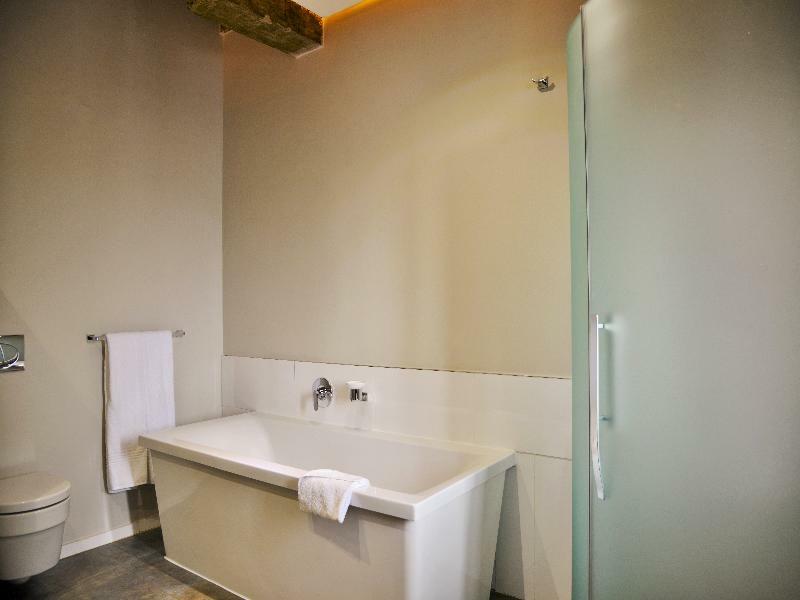 For additional fees, guests may also take advantage of the WLAN Internet access, room and laundry services, and a car park.||The hotel offers modern urban chic designer rooms with an en suite bathroom with a shower and hairdryer. 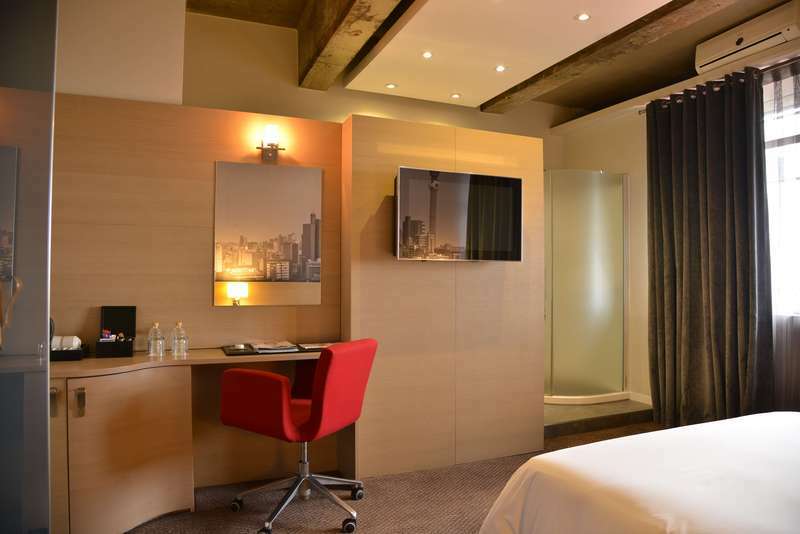 All rooms have a plasma HD TV with free Internet access and Video on Demand, a double bed, minibar, safe, individually regulated air conditioning and heating, a coffee machine, ironing set and a direct dial telephone.